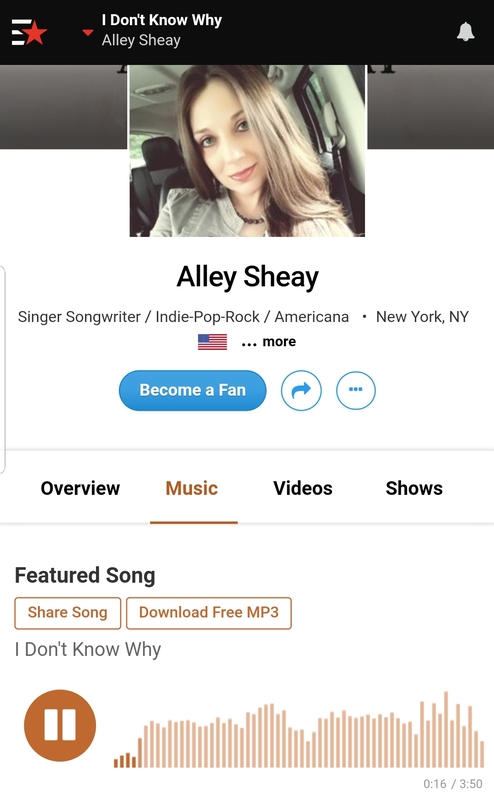 Now you can listen to Alley Sheay on ReverbNation. For a limited time get a free download of her first ever recorded demo.. “I Don’t Know Why”. This entry was posted in Songs and tagged acoustic, blues, Covers, Download, folk, I dont know why, I will always love you, original music, original song, r&b, rock, singer, Singer-songwriter, songwriter, Stream. Bookmark the permalink.